Persona 5 has been great so far. The music and user interfaces are cool in a way that’s rare for other games. It also plays well, despite the inclusion of a Demon Negotiation system, aka the MegaTen series’ most tedious idea. As for the story, it has the expected combo of strong characterization and shock value, this time around with themes of obedience versus defiance. I’m currently more than thirty-six hours in, but given how much time I spent with the previous two games, there’s still a lot more to come. Aside from that, I finally beat Pokemon Sun, though this victory was bittersweet. My team wasn’t quite in the shape I wanted it to be—my Decidueye and Solgaleo were a few levels above the others—but, not wanting to throw a match during my first attempt at the endgame battles, I continued on and became the Champion. Though Pokemon Sun was great for the most part, there were a few lackluster elements. The story, themed around local traditions and wildlife conservation, started off slowly and with several dialogue-heavy cutscenes. However, by the time things picked up, this tale had become one of the best in the entire series. On a related note, Sun certainly has one of the better casts of characters in the world of Pokemon, with the goofy and energetic Professor Kukui and Team Skull’s underdog leader Guzma being two highlights. However, the most important cast member is Lillie, a somewhat timid girl who is neither a fellow Trainer nor someone particularly interested in Pokemon research, like most of the companions in the previous games. 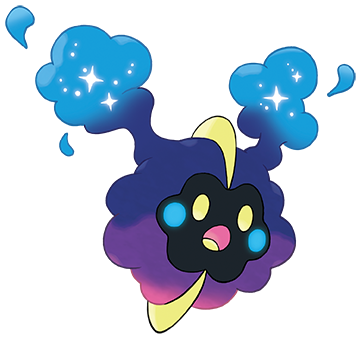 She journeys with a Pokemon called Cosmog, nicknamed “Nebby”, in the hopes of getting it home, and their journey frequently crosses paths with yours. By the time the story reaches its crescendo, however, both Lillie and Cosmog have taken on much larger roles; Pokemon Sun ends up being just as much about them as it is about the player. Much else about the game is praise-worthy. The Hawaii-inspired Alola region is a nice change-of-pace after the staid Kalos from the previous gen, and the hip-hop misfits of Team Skull eventually became my favorite antagonistic group in the series. On the gameplay side, many of the traditional Pokemon trappings got an overhaul in Sun and Moon, and I feel that at least two of them could be worth holding on to for future installments. The first are the move-enhancing Z-Crystals, which replace the Badges won at certain points in the games, though certain types can also be obtained through other means. The second is the Ride Pokemon system, which replaces HMs, those moves that can be used out and about in the world to get to new areas. The Z-Crystals feel less like mere markers and more like useful prizes than the Badges ever did; plus it’s fun to see the Ride Pokemon in action, and freeing not to have to rely so much on specific Pokemon types to use HM moves. As I implied before, Pokemon Sun isn’t perfect. Certain story-required battles are too repetitive, most of the Island Challenges are shorter and lack the puzzle-oriented fun of the old-style Gyms, and the endgame is bare-bones, even though this can be excused by certain quirks of the storytelling. It’s also a technically-demanding game, with some of the more intense moments slowing things down on my “old” 3DS XL. Still, I found it to be better than Pokemon X in a handful of ways, and maybe even one of the best games in the main series. Besides Pokemon Sun, I beat a handful of other games since the beginning of March. The first of these was “Episode P4” in the Story mode of Persona 4 Arena Ultimax, which I soon followed up with “Episode P3”. These two stories conclude the tale from the first Persona 4 Arena, but are a bit more underwhelming as well. Aside from the weird addition of Rise, the new playable characters featured in this mode are all fine, but both stories are hampered not only by sub-par plotting, but also a tough-for-toughness’-sake (but thankfully skippable) final battle. Sadly, this is the sort of direct sequel that might be better served by seeking out a Let’s Play. Next was Far Cry 3: Blood Dragon, the one game I claimed for free during Ubisoft’s 30th Anniversary celebration. I play open-world games very rarely and had no experience in the Far Cry series before, but found this to be all right. Taking over bases and hunting down collectibles feels a bit like busywork, the world lacks distinctive landmarks, and the graphics are a bit too dark in their most aesthetically-pleasing form. However, the missions are generally fun and story is funny and inspired—it’s an ’80s homage done right, capturing the feel of the era while only rarely breaking out specific pop-culture references. As a standalone bit of fluff, it got the job done. I’m glad I played it, though I’m also fine with taking another long break from open-world games after this. My third game beaten in March was Quantum Conundrum, a first-person environmental puzzler and one of the hardest such games I’ve ever played. Many of the puzzles, which involve moving between two or more dimensions to alter attributes like mass or gravity, feature some strict time constraints, involve several steps one right after the other, leave the player subject to the whims of the game’s physics engine, and/or are difficult, if not impossible, to solve on the first try. Despite the game’s polish in other areas, the puzzles aren’t as well crafted as in Creative Director Kim Swift’s most famous previous work, Portal. I really wish I could’ve liked this one more. After beating the main game and the dastardly DLC “The Desmond Debacle”, I managed to get a third of the way done with the even tougher second DLC, “IKE-aramba!”, before setting it down in favor of something else. That something else ended up being Imperium Romanum: Gold Edition, another freebie from a publisher celebrating an anniversary. This one came courtesy of Kalypso, who sent codes out to their mailing list subscribers when they turned ten years old last summer. Our gift was a Roman-themed city builder by Haemimont Games, who later went on to make the modern Tropico titles. Imperium Romanum is a bit more dated than those, with somewhat clunky interfaces and just a smidge too little information about my settlements and their people. On top of that, some of the campaign scenarios were rather difficult, especially when fighting barbarians or other Romans(!) was involved. It’s not a bad city builder by any means, but there are several better ones out there. And that’s it! I will probably start something new to break up things with Persona 5, though I’m not sure what yet. I’m a little behind on my Mario RPGs, but I’m also starting to get a match-three itch, so the next game could be either Mario & Luigi: Dream Team or Puzzle & Dragons Z. At any rate, I have to whittle down the JRPGs in my backlog.